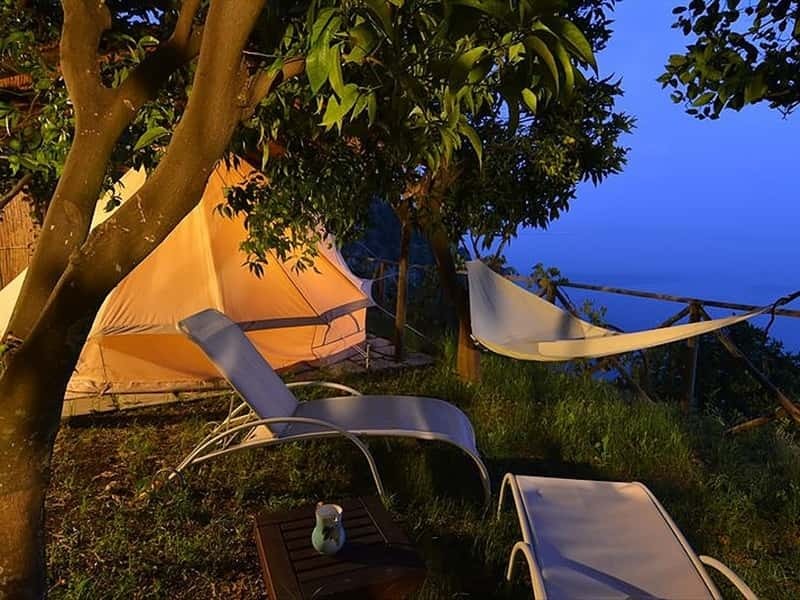 Bella Baia Glamping is the opportunity that was missing on the Amalfi coast for enjoying an exciting holiday in close contact with nature! 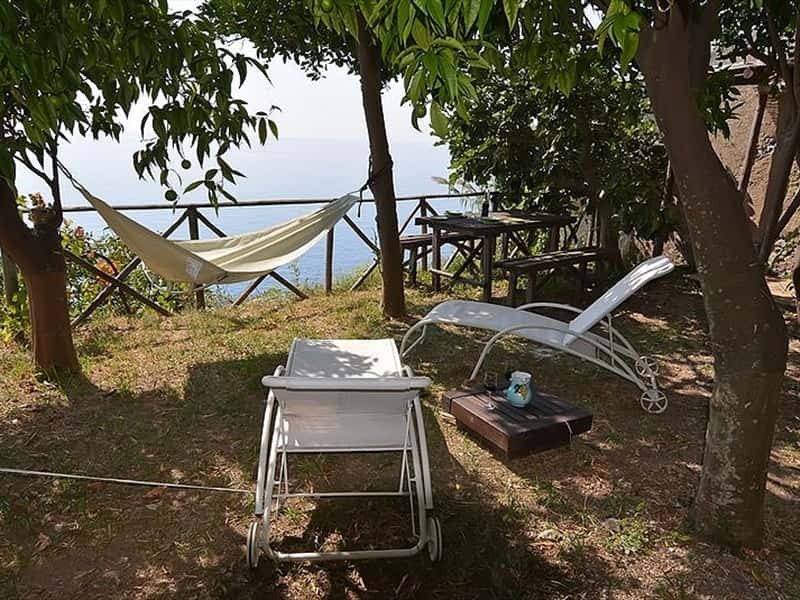 In Cannaverde, just 2Km from Maiori center, along the scenic SS. 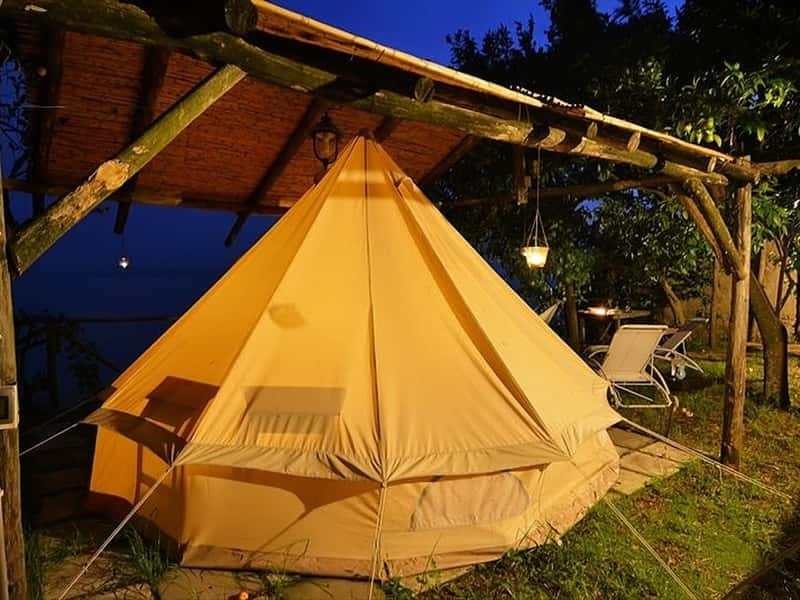 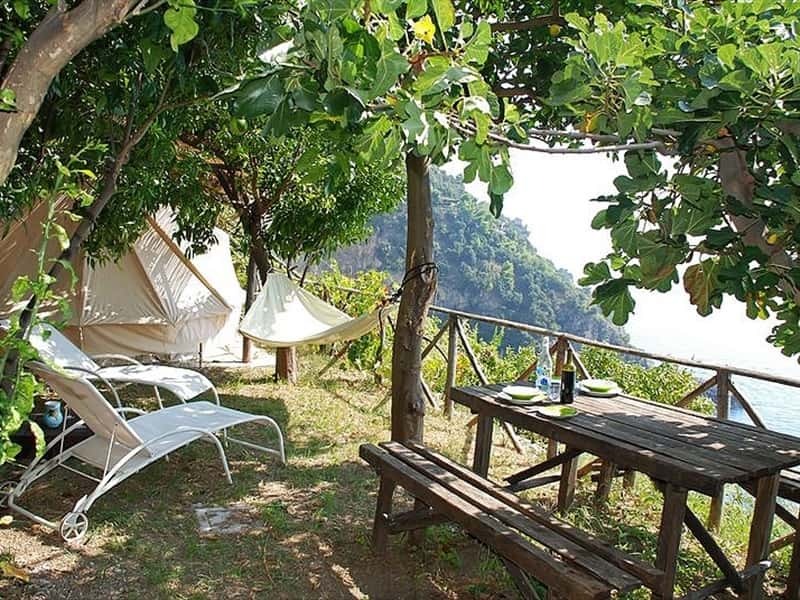 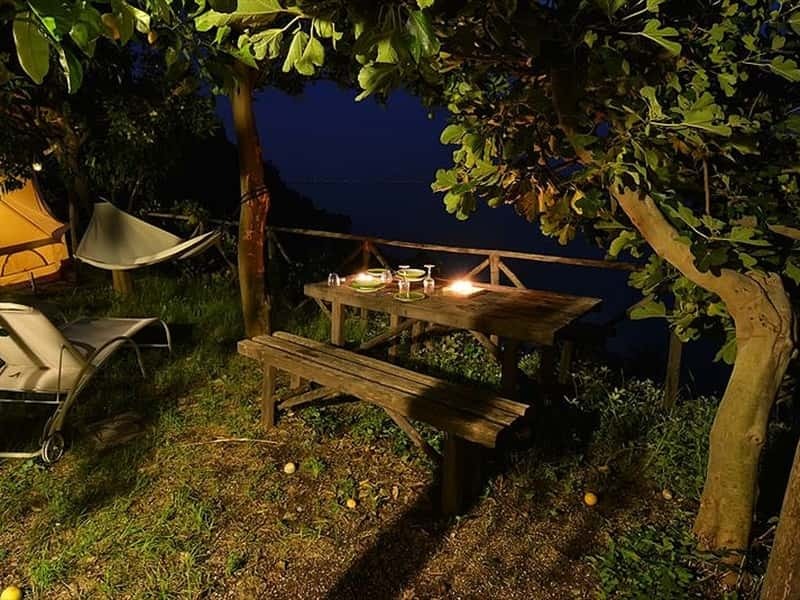 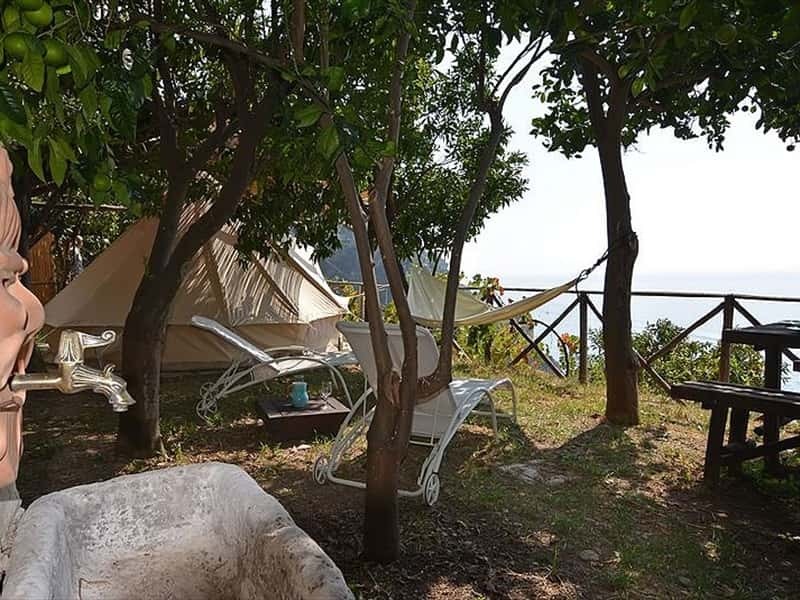 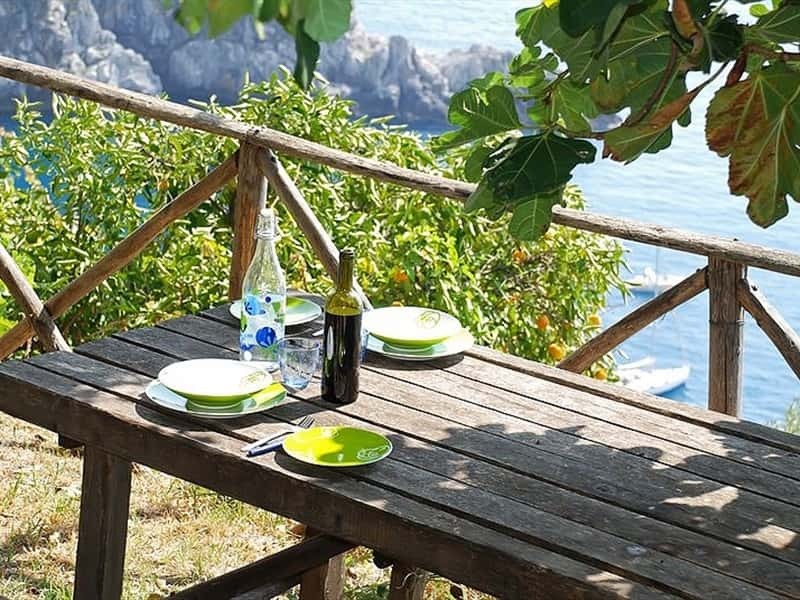 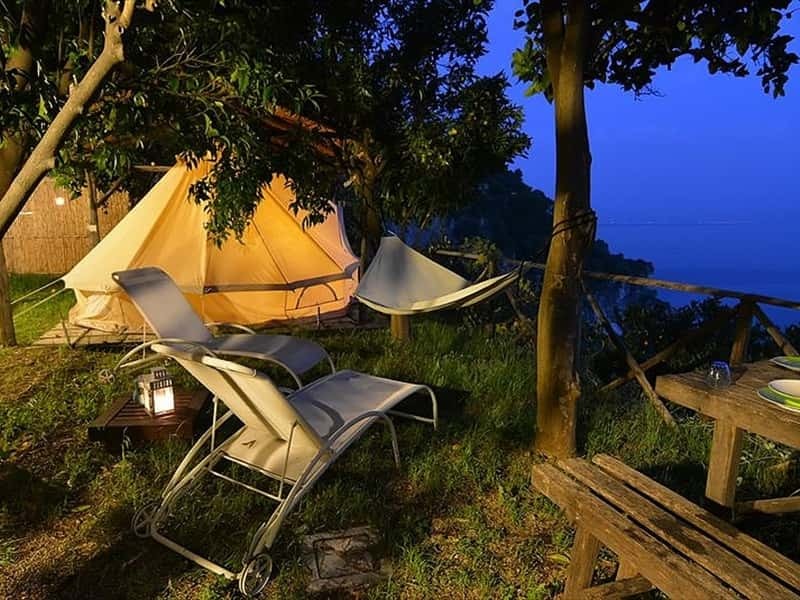 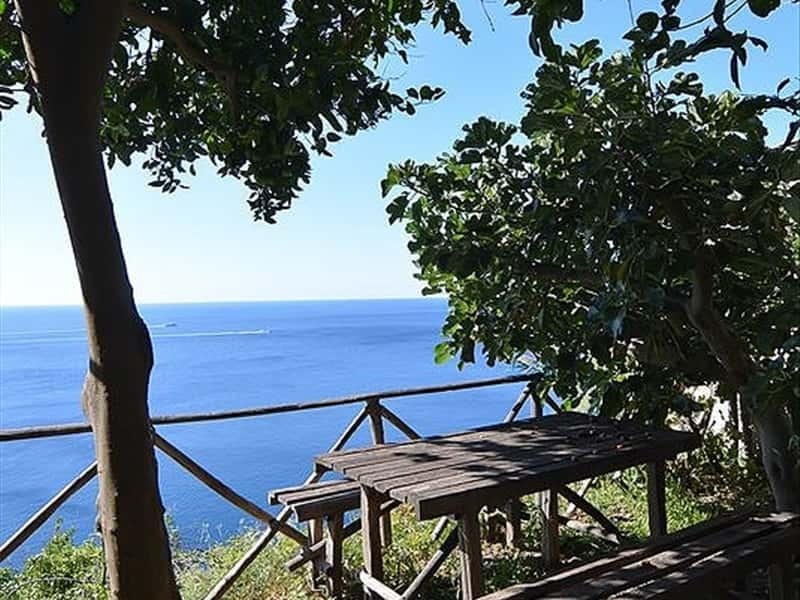 163 "Amalfitana", Bella Baia Glamping has a large equipped camping area for who wants to pick his own tent, under a beautiful lemon pergola overlooking the sea. 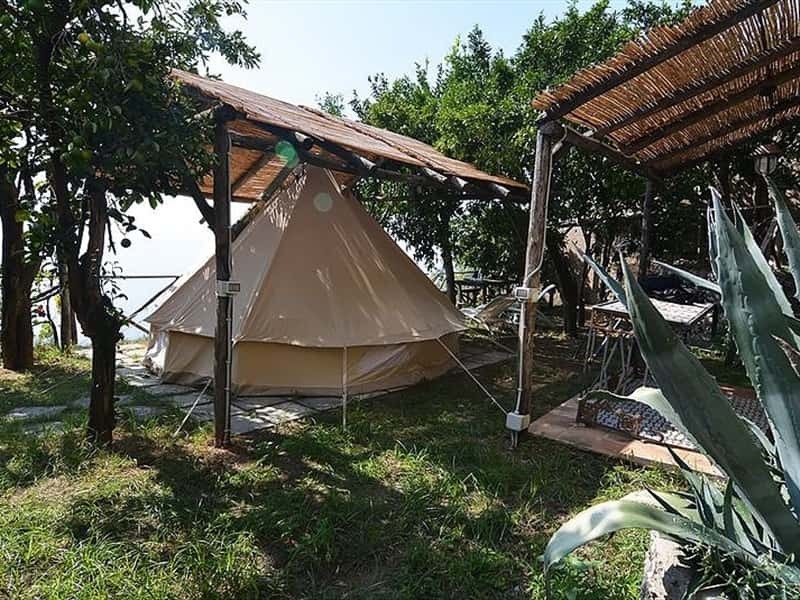 The area camping is equipped with water, electricity, solarium with sun beds, table and chairs, outddor showers, bbq and kitchen. 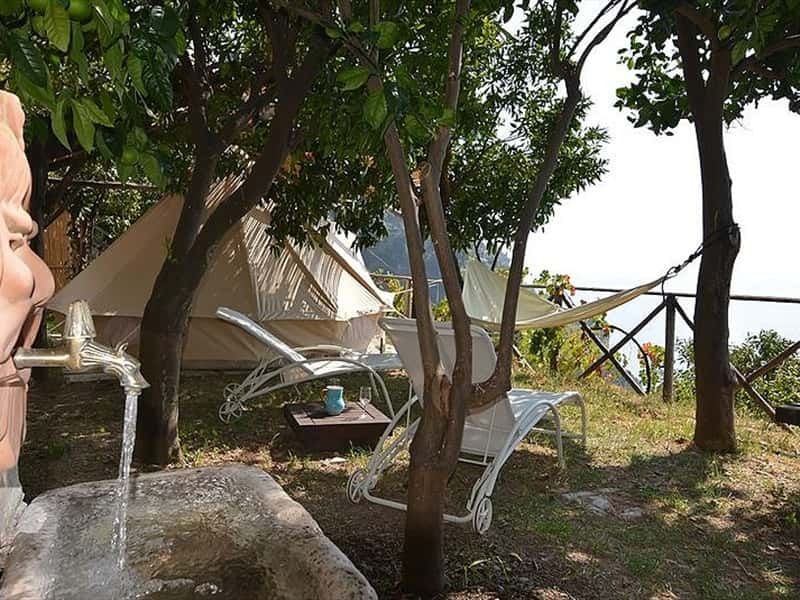 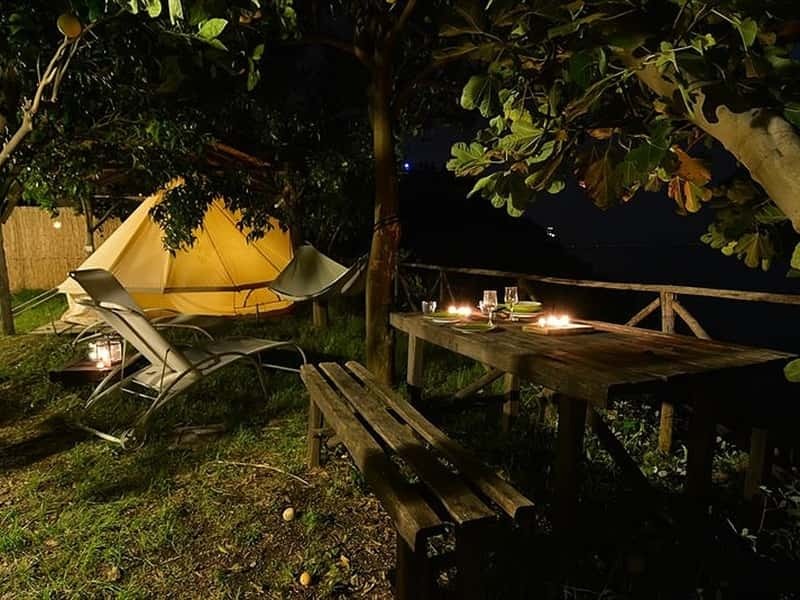 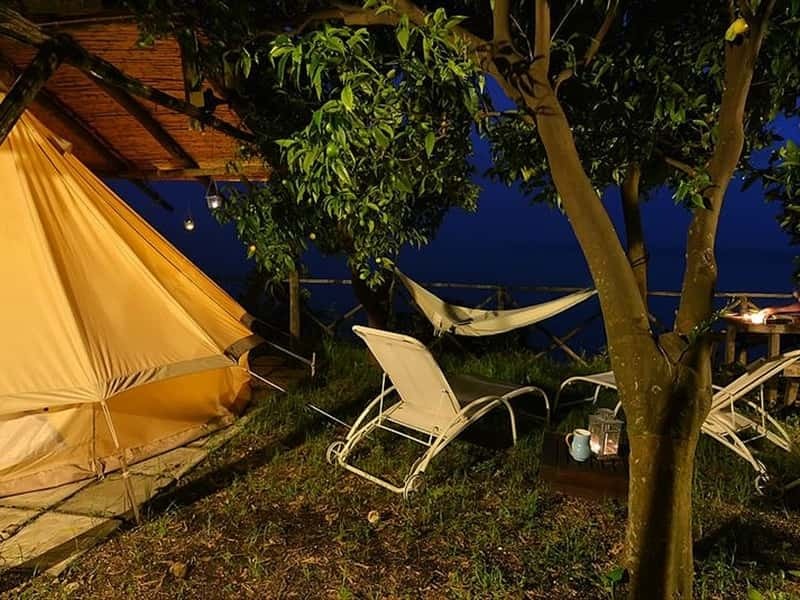 Bella Baia Glamping also has three new waterproof canvas tents, of about 20sqm each, picked on the typical terraced gardens overlooking the sea and equipped with bbq, outdoor shower, hammock, table with benches, sun beds, sink, water and electricity. 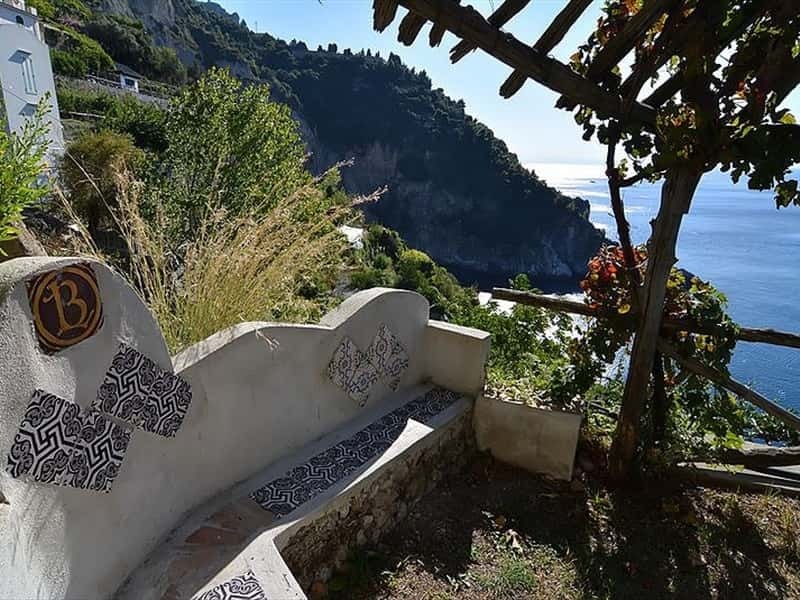 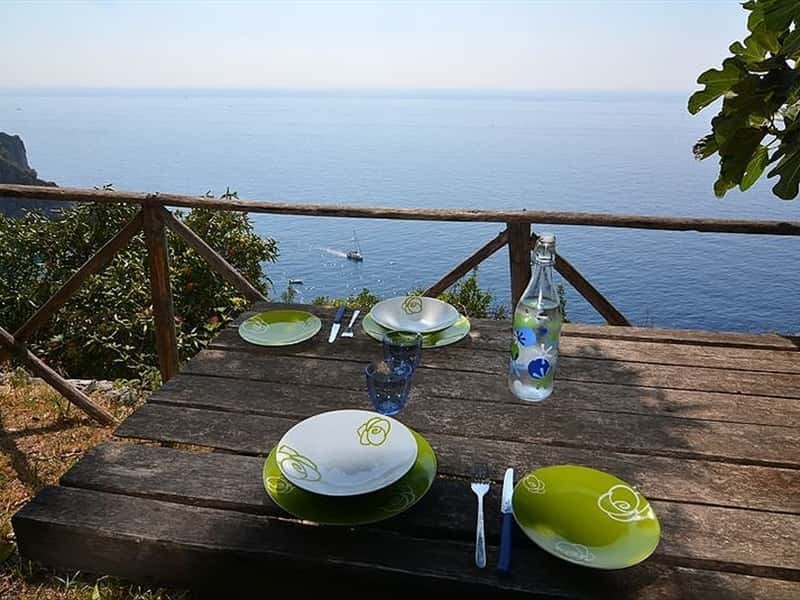 Proceeding through the terraced lemon gardens sloping down the sea, comfortable steps lead to the cliff overlooking the charming bay of Bella Baia, one of the most suggestive corners of the Amalfi coast, reachable only by sea. 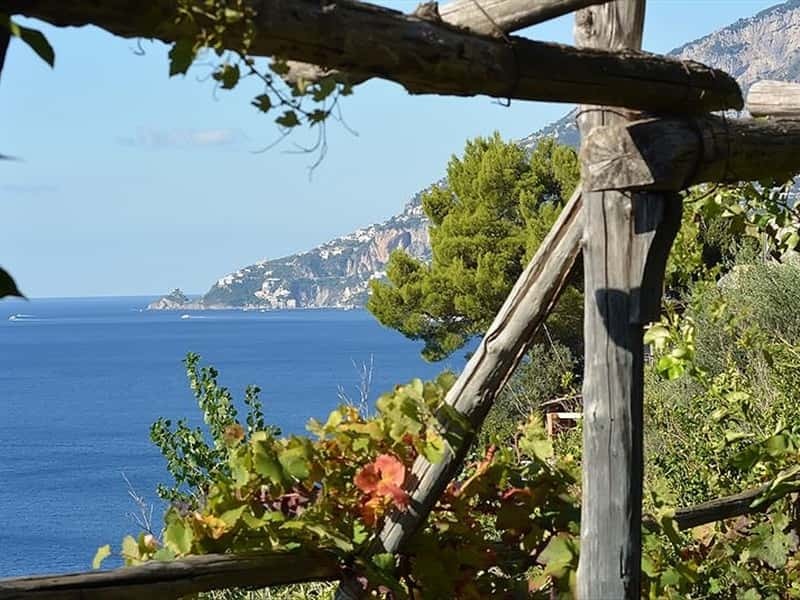 Due to its position, along the main road of the Amalfi coast (SS 163), you can easily reach Maiori as well as the other towns of the Divine coast (such as Amalfi, Ravello, Positano, Praiano, Cetara, Conca dei Marini), Sorrento, Pompeii and Herculaneum, Salerno and the Greek temples of Paestum, Naples and the Vesuvius, Caserta Royal Palace and the islands of Capri and Ischia, reachable by ferry boats. 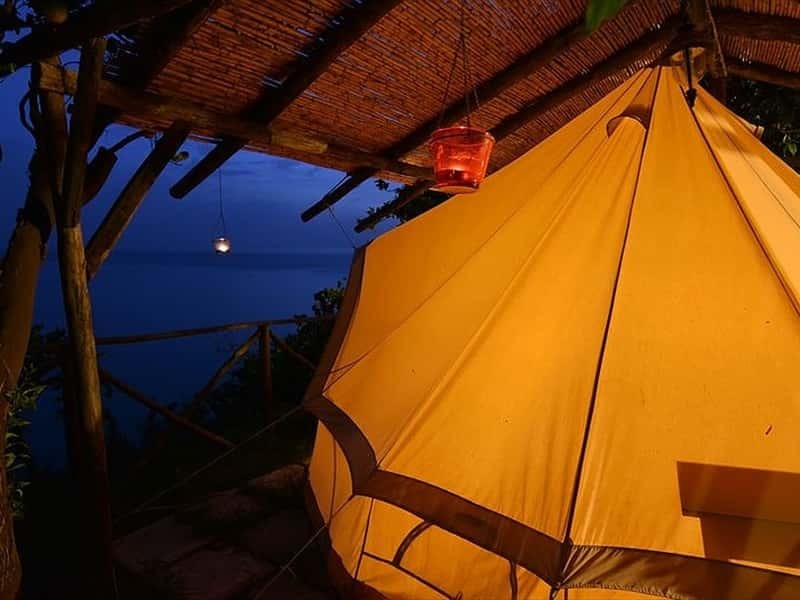 This structure web page has been visited 68,554 times.